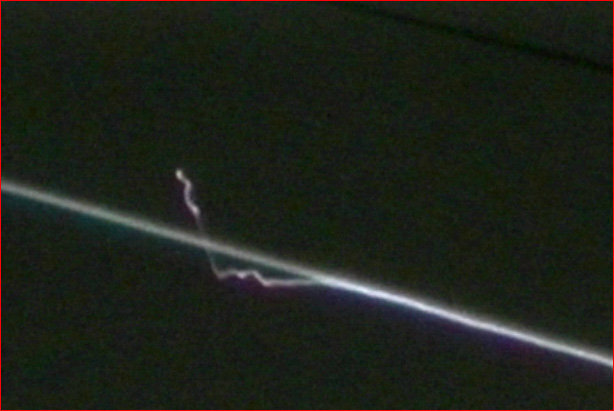 Top investigators of the Columbia space shuttle disaster are analyzing a startling photograph - snapped by an amateur astronomer from a San Francisco hillside - that appears to show a purplish electrical bolt striking the craft as it streaked across the California sky. The digital image is one of five snapped by the shuttle buff at roughly 5: 53 a.m. Saturday as sensors on the doomed orbiter began showing the first indications of trouble. Seven minutes later, the craft broke up in flames over Texas. wishes that I no longer share this image with the readers of this site until we can come to a licensing agreement. This is understandable. Since his licensing agency does not respond to requests for permission to use... Here it is. Although there are several possible benign explanations for the image - such as a barely perceptible jiggle of the camera as it took the time exposure - NASA's zeal to examine the photo demonstrates the lengths at which the agency is going to tap the resources of ordinary Americans in solving the puzzle. 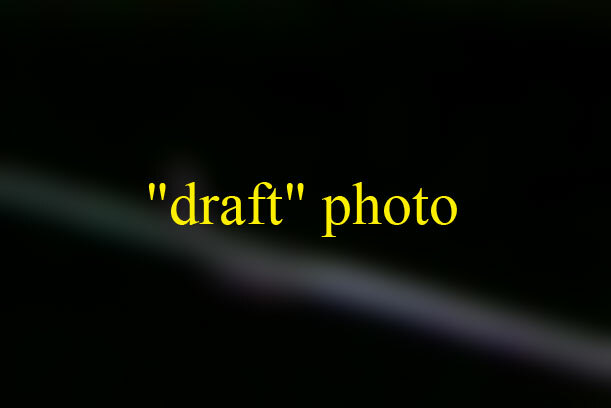 Jernigan, who is no longer working for NASA, quizzed the photographer on the aperture of the camera, the direction he faced and the estimated exposure time - about four to six seconds on the automatic Nikon 880 camera. It was mounted on a tripod, and the shutter was triggered manually. After a series of telephone conversations Tuesday afternoon, the photographer had a veteran shuttle mission specialist knocking at his door by dinnertime. Within hours, he was left with a receipt, and his camera was on its way to Houston.